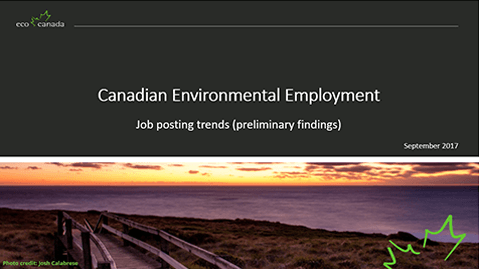 ECO Canada provides job posting data useful to job seekers, policymakers and researchers. Each group is now able to find information on skills in demand, companies that are hiring and labour trends. Job scraping.How we collected data from job ads. Environmental Canadian job ads. In 2014, environmental job ads peaked at 30,000. The top 10 occupations in the environmental sector.